Cody Eakin is a Canadian professional ice hockey player who plays in the National Hockey League (NHL). As of 2019, Cody Eakin currently plays for the Vegas Golden Knights as their Center. Cody Eakin has played for other teams like Washington Capitals, Dallas Stars. As a Center, Cody Eakin reportedly earns around $3,850,000 as his yearly salary from Vegas Golden Knights. Further, Cody Eakin has an estimated net worth of over $10 million. Cody is married to his lovely and gorgeous girlfriend Hanna on February 5, 2019. How Much is Cody Eakin's Net Worth and Salary in 2019? Cody Eakin has an estimated net worth of over $10 million and currently earns $3.85 million as his annual salary in 2019. He reportedly signed a four-year contract worth $15.4 million with Dallas Stars on August 28, 2015. The contract has a guaranteed sum of around $15,400,000 with a cap hit of around $3,850,000. Further, the NHL player has an average salary of $3,850,000 annually and Eakin so far has made earnings of $20 million from his entire NHL career. Kept aside Cody Eakin financial earnings, his personal assets includes home and cars. Moreover, Eakin earns a good amount of money from various sponsorships. 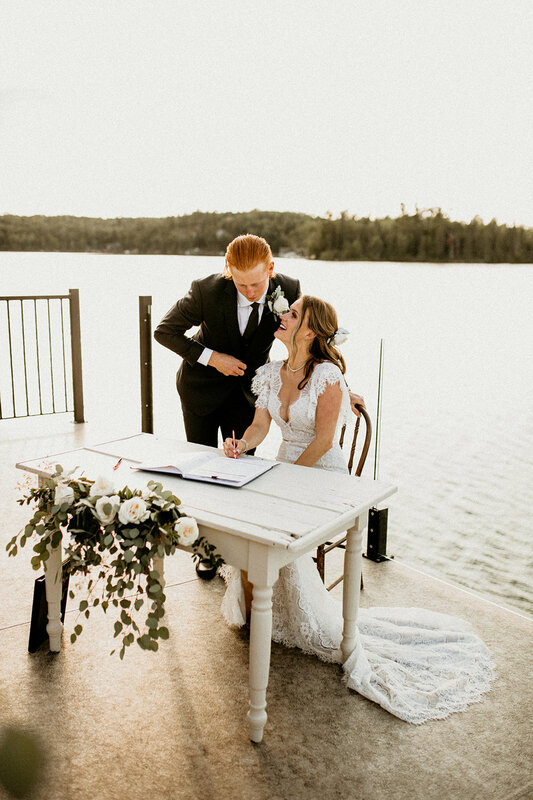 Cody Eakin is a married man to his longtime girlfriend Hanna since February 5, 2019. the couple tied the knot in Big Tree Island, Ontario, Canada in a lavish wedding ceremony in front of family and friends. The couple had an epic wedding ceremony that included a yacht party and a beautifully intimate ceremony and reception on their island. They also had a party at Smith Restaurant in Winnipeg after the reception. Cody and Hanna had been together for several years and Cody proposed his girlfriend for marriage after the regular season in 2018. The Famous NHL star 1.82 m (6 feet) tall in height and weighs around 191 lbs (87 kg). Cody Eakin is not only a world-class athlete but also has a very attractive individual. Cody Eakin was born on May 24, 1991, in Winnipeg, Canada to parents Grant Eakin and Myrna Eakin. As per his nationality, he is Canadian and belongs to the White ethnic group and his star sign is Gemini. Information about Cody Eakin's educational qualifications isn't available on the media. Cody began his professional career after being drafted in the 2009 NHL Entry Draft by the Washington Capitals in the 85th overall pick and made his NHL debut in 2011. After playing over several seasons, he was traded in 2012 to the Dallas Stars where he scored his first playoff goal against Anaheim Ducks Frederik Anderson in 2014. During the 2016-17 season, he was suspended in the conviction of charging Henrik Lundqvist. Later on, He was left free agent by the Dallas team in 2017 and was picked in the 2017 NHL Expansion Draft by the Vegas Golden Knights and is playing along with Brandon Pirri.